15km from the Generali Open de France in Lamotte Beuvron. A former theatre rehearsal hall from XIX century converted into a 5 star boutique villa. Feel like in a private hotel with all top quality equipment. The house is offering an amazing spacious living room cathedral, 1 en-suite bedroom, 2 bedrooms with private sink, one office with sofa bed, 2 toilets, 2 bathrooms and a state of art small kitchen. Ideally located in the center of the Châteaux of the Loire Valley (50km north from Chambord and 25km south from Sully sur Loire). If you are a horse lover, you are more than welcome. Indeed, the villa comprises of a 2 500 sqm closed paddock for your horses. The Generali France Open is less than 15 minutes driving away. The house has been completely renovated in 2018. You will enjoy the charms of the region in a small private domain. The ideal place to discover the region. You will have the entire villa as well as the park entirely for you. We ensure the gardening of the park is done before your arrival to keep your privacy. A special concierge service takes care of all your needs. They are available at your entrance and during your stay in need. Upon request, you can ask for specific service such as baby-sitting or shopping before your arrival. The villa has been built especially for theatre rehearsal by the famous French theatre-writer Eugène Labiche. Indeed, he used to live in the village (his mansion is on the other side of the road) and constructed the villa for his novel "Chapeau de paille d'Italie". 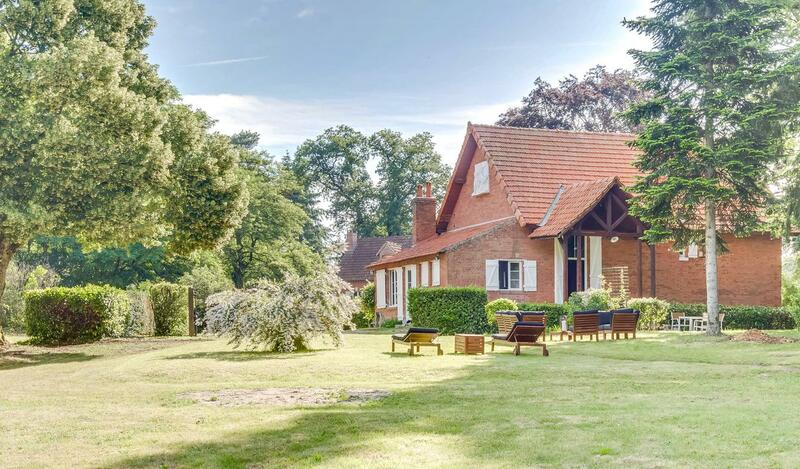 We acquired the villa directly from Eugène Labiche heirs and entirely renovated it. We ensured to keep the authentic spirit adding modern state of the art equipments.